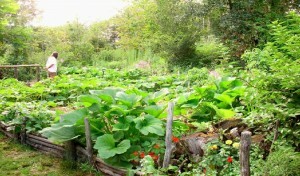 When it comes to growing a garden, going organic is always an excellent option. Not only is it more affordable, it also helps minimize side effects on your plants and the environment. For instance, did you know that one easy way to keep weeds from growing is to put a layer of newspaper underneath mulch? Speaking of mulch, leaves can be raked and added directly on top of the soil, helping you save money on the former. Beer can also be used to catch and kill slugs naturally, eggshells to ward off pests and provide nutrients, and vinegar’s acidity to wither and kill weeds.